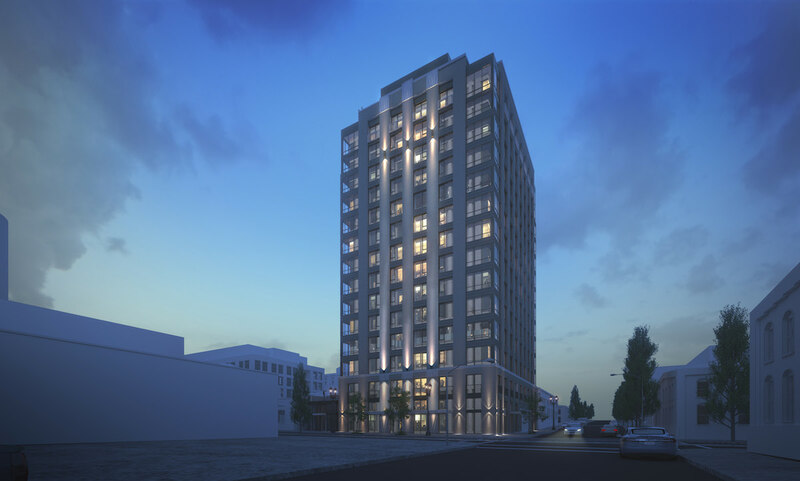 The Block 216 tower had its first Type III Design Review hearing last Thursday. Cart owners have been told they might need to vacate the 10th & Alder lot as soon as May. 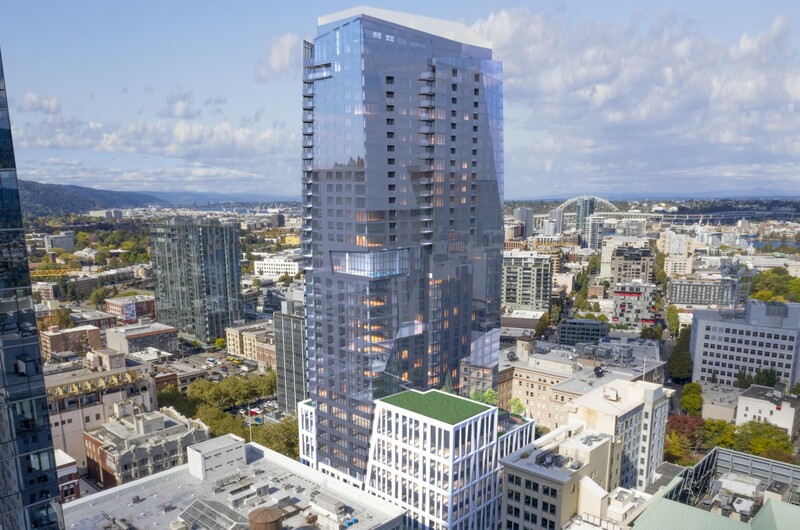 With the surface parking lots currently home to downtown food carts being replaced by developments that include the Moxy Hotel and Block 216, advocates have called for a ‘culinary corridor’ along the midtown Park Blocks right of way. 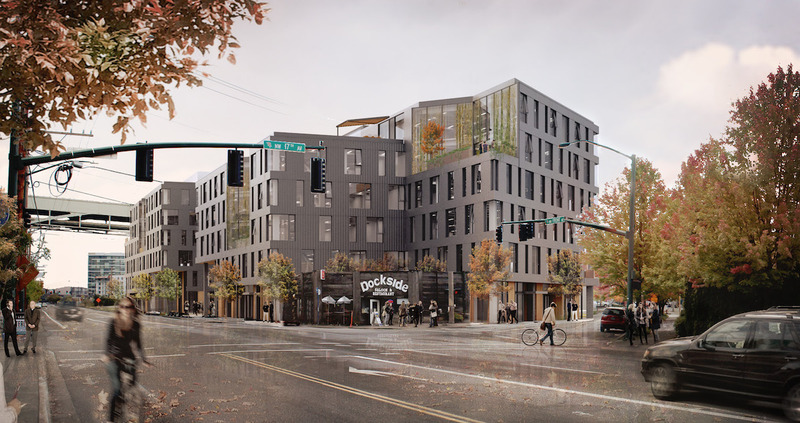 The Southeast Examiner looked at the “phantom laundromat” at 2731 SE Belmont St. A building permit for a 5-story 46 unit apartment building on site is currently ‘approved to issue’, however a demolition permit for the existing structure has expired. As the first buildings subject to the city’s inclusionary housing ordinance come online, the Daily Journal of Commerce looked at how different developers are complying with the mandate*. Excess land from MAX construction could become affordable housing, writes the Oregonian. The Business Tribune looked at the “projects aplenty” at Portland State University, including the Fourth and Montgomery Building and the Neuberger Hall Renovation. 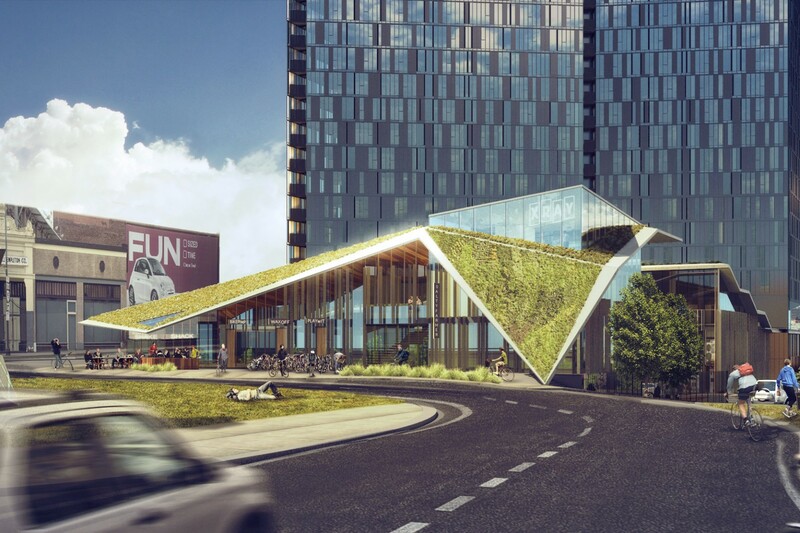 Lonely Planet wrote about the KEX Portland, the “ultra-chic Icelandic hostel” planned at the Burnside Bridgehead. Portland Monthly wrote about the Garlington Center, which brings health care and housing under one roof. Fearing rent control, Portland developers are backing Loretta Smith, reports the Oregonian. Proposed project is a nine story headquarters building for the Multnomah County Health Department. Development of two lots to include three 3-story buildings containing residential units, with a total of 18 units between the 3 buildings. Will need adjustments to parking. Proposal is to develop site with condominimums using the “A” overlay and amenity bonus to increase density to 16 units total. The existing residence will be removed. Proposal for multi-family residential housing with group living components proposal will conform to Community Design Standards 33.218 ; live/work loft units @ ground level. Proposal is for new construction of a 1500 sf single story building for use as a bath house for ritual Jewish tradition. New 12-unit residential building. House to be demo’d. Proposal is for a 12-story building with 93 units of affordable housing and associated resident amenities on a 10,000 sf site. Parking for 18 cars will be provided on the ground floor. Proposal is for a new 133 unit studio apartment building. Proposal is for three levels office space over ground level retail and enclosed parking. Proposal is to develop vacant building into a Tesla auto repair center and car showroom. Expand ground floor by approximately 7,400 sq ft to accommodate indoor bike parking, conference rooms, exercise facility and retail/services uses. New landscaping also proposed. Proposed project is for new construction of six level 114 unit studio apartment building. new 4-story mixed use development with commercial ground floor over one level of underground parking. New single story 16,500 square foot masonry building, landscaping, parking, stormwater facility. Shell only, no occupancy this permit. New single story 8,400 square foot masonry building, landscaping, parking, stormwater facility. Shell only, no occupancy this permit. Proposed development of a 46 Unit Apartment Project consisting of 2-3stroy light frame buildings with 36 proposed parking spaces. Mixed Use 57-60 residential units with retail/commercial surface and tuck under parking. Proposal includes 2 buildings and 36 parking spaces. Looking to meet Community Design Standards. New five story apartment building with 44-48 units and sub-grade retail parking and storage. New four story apartment building with 36-37 units and an adjacent grade parking. Four story over subterranean garage, 21 unit apartment building. Complete renovation of current YMCA building with perimeter landscaping. Demo existing attached 2-story office building and replace with single story addition with basement; demo and reconfigure main floor at sanctuary, include offices, work room and elevator; basement level reconfigure and relocate restrooms, includes kitchen area, meeting room and mechanical room; seismic upgrage to existing church, project includes parking area and associated site work. Detached trash enclosure less than 120 sf.